The Casagrande B160 XP-2 in CFA Configuration is a machine dedicated to giving the specialist contractor equipment to perform large diameter rotary and CFA piling. It is the result of research and innovation based on over 50 years of experience and success of the company in the ﬁ eld of foundations and geotechnical engineering. 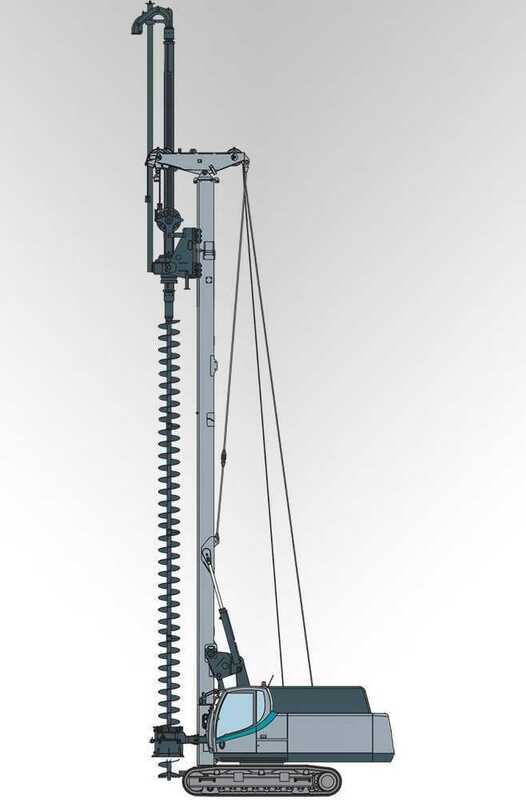 Designed to work on the most difﬁcult sites and has excellent technical characteristics: 160 kN high speed winch for fast work, the H16 rotary head has a maximum torque output of 160 kNm and speed up to 33 rpm, it is ideal for drilling large and small diameter boreholes. “Keep the operator happy in a comfortable working environment” is our formula for added productivity. The B160 XP-2 is designed to satisfy the severe European Union standards on safety and is manufactured to comply with the ISO 9001 requirements on quality. The B160 XP has a very low sound emission level as a result of the of sound-absorbing materials and oil heat exchangers, designed for reducing the overall noise level. The layout of the machine and the wide openings of the canopy offer comfortable and easy access for inspection and maintenance. The machine conforms to the last international standards to guarantee the maximum safety of the operations.